Quentin and his friends are now the kings and queens of Fillory, but the days and nights of royal luxury are starting to pall. After a morning hunt takes a sinister turn, Quentin and his old friend Julia charter a magical sailing ship and set out on an errand to the wild outer reaches of their kingdom. 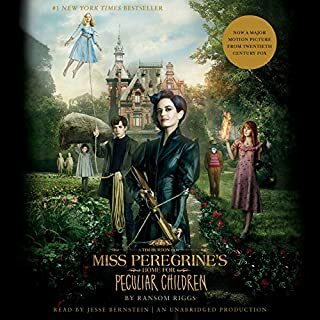 Their pleasure cruise becomes an adventure when the two are unceremoniously dumped back into the last place Quentin ever wants to see: his parent's house in Chesterton, Massachusetts. Great development in the new series. 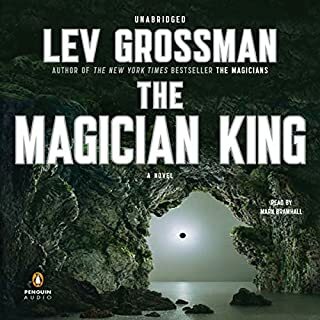 Grossman has really done a great job with this second book in what I am hoping is a new series for these magicians. It is easy to tell that the characters and Grossman are both more mature and more sure of personalities, roles in the story, and dialogue. The plot takes off as the 4 - Julia, Quintin, Elliot, and Janet are kings and queens in Fillory and as they once again get drawn and dragged into quests and adventures. There are great weaving story lines and Grossman has some great moments of twists and reveals. I am expecting there to be at least one more in this series with how it ended, very leading into a new step type ending, but still very well done. I recommend reading this one - not listening. The writer seemed to want to add new twists and information where none was needed. The different time periods and plots were interesting by themselves but didn't fit well together and that created a very unbelievable group of characters and plot. Most of the characters were only developed on the surface and you quickly lost interest in what each was doing and contributing. I think that if the writer had expanded on pretty much everything it would have been successful but then it would have neared 500 pages. Next time, less is more. Te reader didn't seem able to perform the many accents needed for the storyline. Most of the characters had labored dialogue and in all honesty it made me ready for the book to end so the dragging and awkward accents would end. Humourously creative and darkly entertaining. I greatly enjoyed this listen and have since added his second book to my collection. 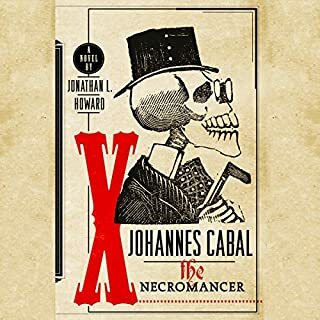 The narrator give life to the well-written characters and the situations and dialogue kept me hooked from open to close. If you like a little dark British humor and humorous social studies, I highly recommend. Those that gave this a low mark obviously didn't know what type of book this was or were closed minded to characters making wagers with a sarcastic devil and the reanimation of the dead to create light-hearted carnival workers.